question:9.I never come to China before, can you be my guide in China9 answer: We can arrange our driver to pick you up from airport to our company, and to book the hotel for you. question:5.How does your quality control9 answer: We have a professional QC team, we will control the goods quality during all the mass production, and we can do inspection service for you. question:9.I never come to China before, can you be my guide in China9 answer: We can arrange our driver to pick you up from airport to our company, and to book the hotel for you. 3. Most used for advertising and promotion events as a promotion gift. Applications: Most used for advertising and promotion events as a promotion gift. 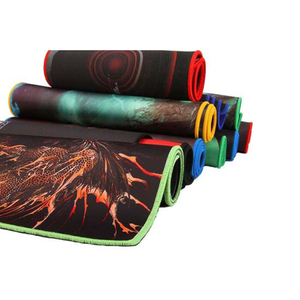 It is the best material for producing mouse pads, bar mats, game pads,table mats, yoga mats, play mats and so on. 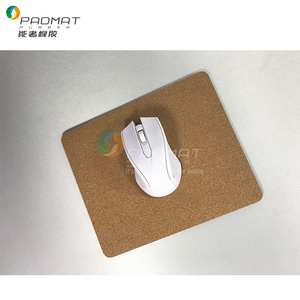 OEM Cork Surface Mouse Pad with Anti-slip Rubber Base We supply different size and different style of all our products. All styles of cork mouse pad can be customized according to the requirements of customer. 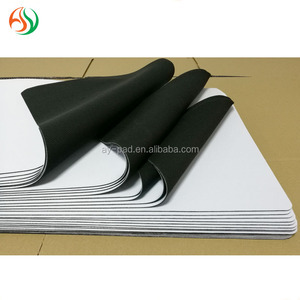 we produce the natural rubber mats from original material to products by ourselves. What is Trade Assurance9 Trade Assurance is a free service by that&rsquo;s designed to help create trust between buyers and suppliers. 1.About materials: &bull;Rubber + PVC + Paper :This printed pattern for some very fancy has a great advantage,High-resolution, bright color, you can print your logo or picture. &bull; Rubber + Cloth + Heat Transfer:The quality of this print is better,Surface will not wear,the color will not fall off, you can print your logo or picture. 3 YRS Shenzhen Topstyle Technology Co., Ltd.
1 YRS Guangzhou Lingteng Electronic Trade Co., Ltd.
2,Can you provide free sample9 Sample cost can be returned after you place the order. 5,When can you delivery the sample9 Them will be sent right after we receive payment. 6,When can you delivery the goods9 Usually them will be sent 7-15 days after receive payment. 2 YRS Shenzhen Giftmart Electronic Co., Ltd.
Alibaba.com offers 45,060 mouse pad products. About 66% of these are mouse pads, 6% are charger, and 1% are other rubber products. A wide variety of mouse pad options are available to you, such as rubber, silicon, and plastic. You can also choose from heated, radiation protection, and plain. As well as from black, white, and multi. And whether mouse pad is free samples, or paid samples. There are 45,060 mouse pad suppliers, mainly located in Asia. 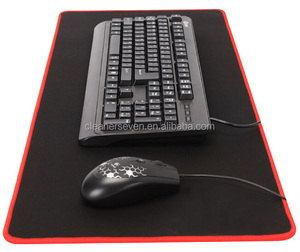 The top supplying country is China (Mainland), which supply 100% of mouse pad respectively. Mouse pad products are most popular in North America, Western Europe, and Domestic Market. You can ensure product safety by selecting from certified suppliers, including 11,370 with ISO9001, 5,565 with ISO14001, and 3,331 with Other certification.